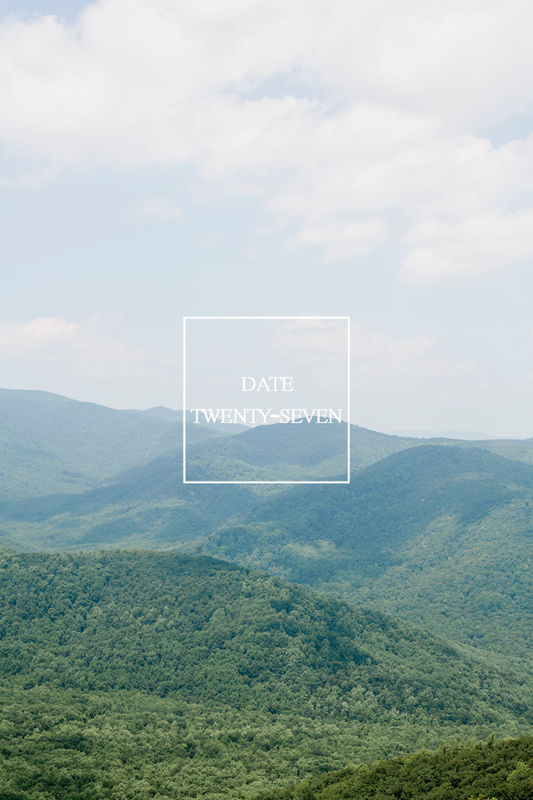 The date // A hike up Old Rag in the Blue Ridge Mountains. The snack // Hand pies, a baguette we snagged from the market, a little cheese, and the best apricots ever at the summit. Yesterday Mark and I put everything else in the world on hold. 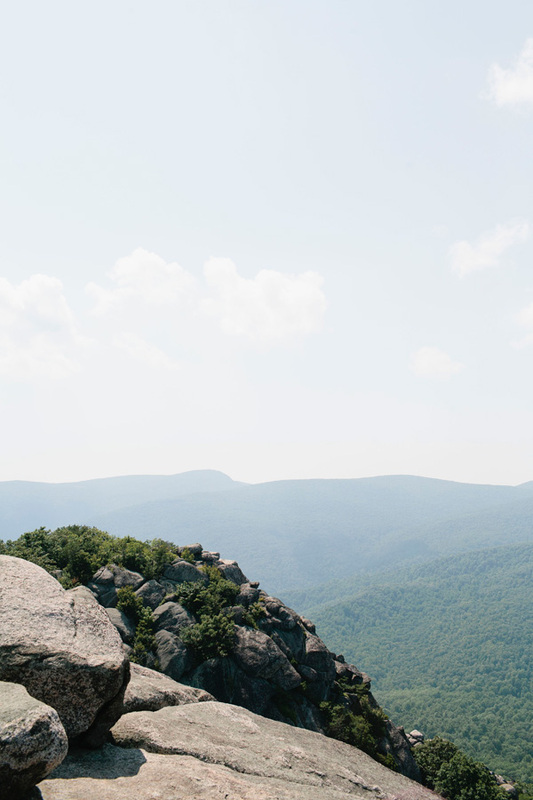 We packed a bag, pulled on our boots, and drove to the Shenandoah National Park to finally tackle a trek we’ve been talking about for years. After a 2 1/2 hour drive through some of the most beautiful country around, we started our 5 hour round trip hike straight up the hill — something Mark warned me was coming, but I had no idea. 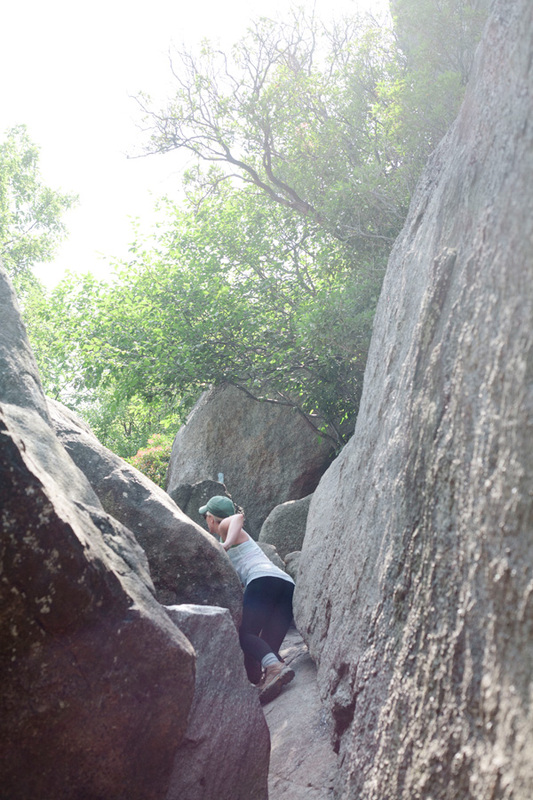 The trail up to Old Rag is truly straight up, and every time you think you’re about to reach the summit, you don’t. It took us close to 3 hours, maybe a little less, uphill and over rocks to reach the gorgeous view above. And like so many treks before, the effort was so worth it. Right now our life is all go go go. Most days we barely have time to breathe. 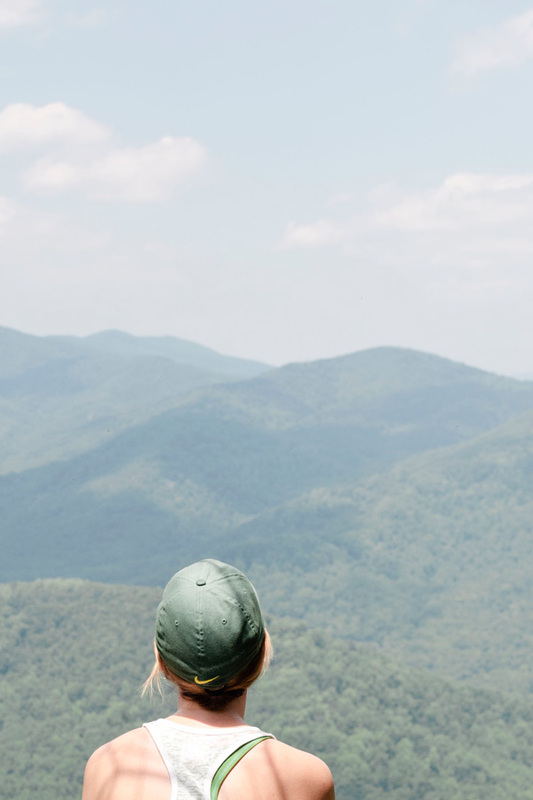 Venturing out beyond cell service, sweating in the sun, lunching at the top of the mountain in the cool clean air – it was the medicine I needed to get me through another busy week. Follow along on the rest of our 52 dates here! I love this date! It’s so important to disconnect and spend quality time with your favorite people. One of my most memorable vacations was a four day camping trip in Utah with my boyfriend. It felt like the rest of the world was so far away. 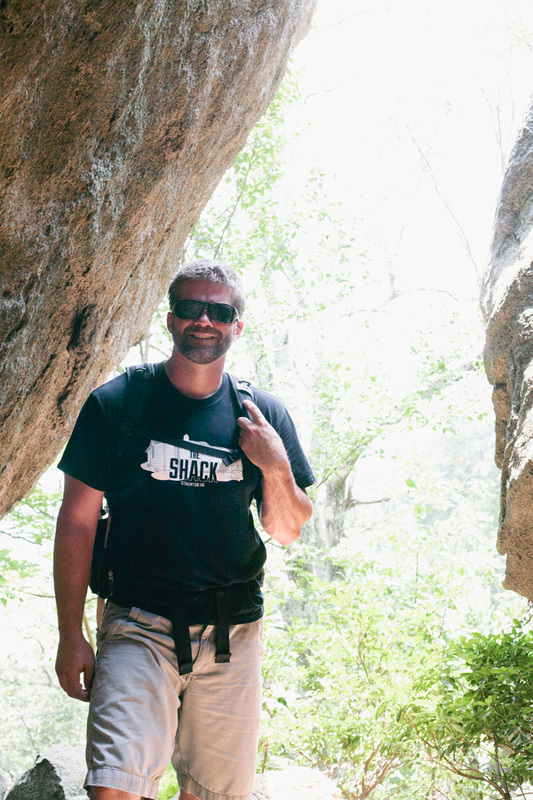 You captured some beautiful photos on your hike! Such beautiful photos! I’ve been hiking there, but it’s been a while! Now, I really want to again. I love the idea of the 52 dates! Aww thank you, Jenna! You definitely should! What an absolutely gorgeous day! Cute! 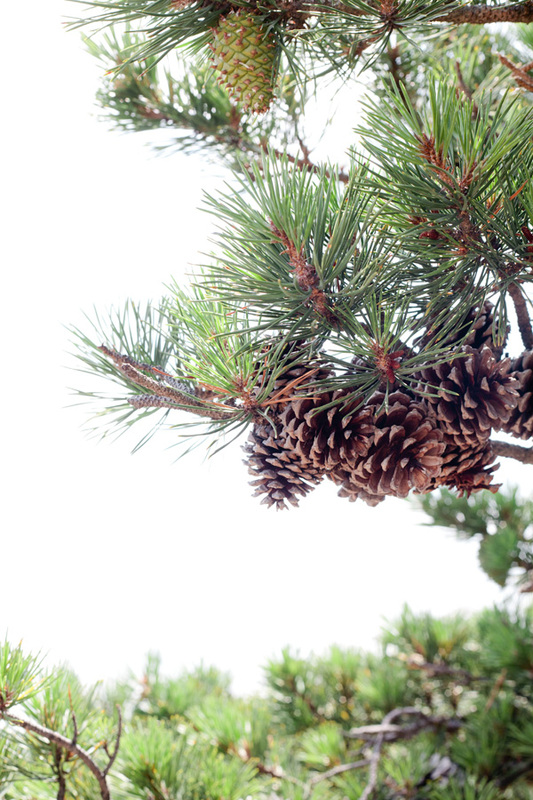 Bah – I went on a hike on monday but mine ended in a sprained ankle and a trip to the ER! HAHA! Glad your hike went much more smoothly 🙂 The view looks amazing! OH NO! Hope you’re feeling better now!